In May 2014, President Obama signed the Digital Accountability and Transparency Act of 2014 (DATA Act) (P.L. 113-101) into law. Once implemented, the DATA Act will make federal spending data more accessible, searchable, and reliable. It will not only make it easier to understand how the federal government spends taxpayer dollars but will also serve as a tool for better oversight, data-centric decision-making, and innovation both inside and outside of government. The U.S. Department of the Treasury and the Office of Management and Budget are leading the government-wide implementation of the DATA Act. This collaboration space is designed to openly share our process for meeting the data transparency requirements of the DATA Act. Our sister site — USAspending.gov — is where you will find the results of this work: data you can search, view, and download. We invite you - the public - to interact with our site and share your feedback and questions on our Community Page! Fiscal Service Data Transparency Site: The Bureau of the Fiscal Service (Fiscal Service) delivers on Treasury’s strategic goal to increase access to and use of federal financial data in order to strengthen government-wide decision-making and accountability through data transparency. USA Spending: The official source for spending data for the U.S. Government. Its mission is to show the American public what the federal government spends every year and how it spends the money. 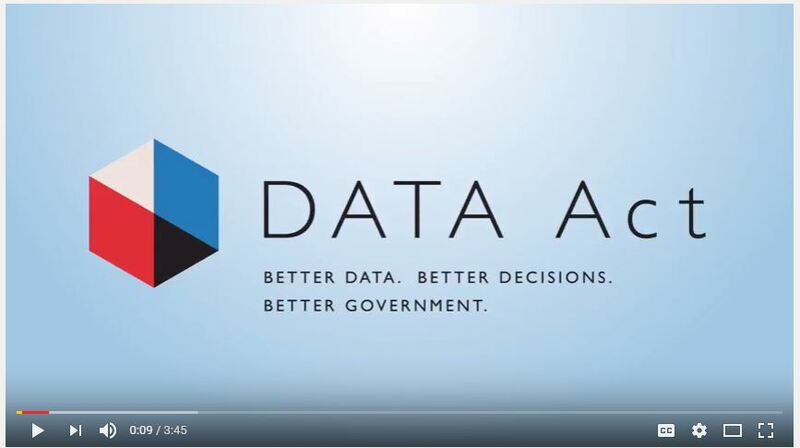 USA Spending Data Lab: A platform to increase public understanding of government spending using interactive data visualizations and analyses – because Data + Use = Value. USAspending.gov relies on hundreds of distinct data elements to tell the story of how federal dollars are spent. The DATA Act Information Model Schema organizes these elements into a structure that further defines, groups, and relates them to each other. Learn about the data model. User research, testing, and design iteration will support all parts of the DATA Act implementation. Learn about our user-centered process here.